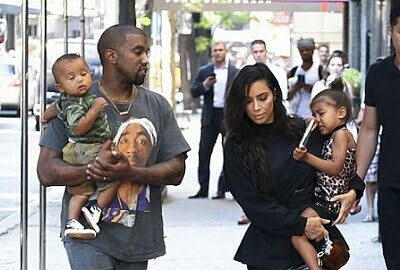 Kim Kardashian and husband Kanye, have reportedly hired a surrogate to have their third child. According to reports, the deal will cost the couple $113,850 a decision the pair have made since discovering that Kim suffered from placenta accreta - a condition that makes another pregnancy life-threatening. It's thought that the couple have used an agency to source a surrogate, and that they will pay her $45k in 10 monthly instalments of $4,500; The initial deposit for this, that the married couple will pay the surrogate's agency, is said to be a whopping $68,850. .
0 Comment to "Kim and Kanye Spend $113,850 On Surrogacy, To Have A 3rd Child"